So you'd like to get out and enjoy the yard without being eaten alive by pesky mosquitoes? How about a barbeque where you aren't the main course? Are your kids complaining about itchy mosquito bites? Are you worried about spraying a chemical to control mosquitoes? The good news is that there are some great, safe and organic ways to reduce the number of mosquitoes in your landscape and give your kids every reason to be outside (why give them another reason to be inside playing video games). There are a variety of strategies for controlling mosquitoes. The first involves preventing them from ever becoming adults. You can do this by minimizing standing water on your property - I'd get rid of that birdbath. Also, if you have areas of your lawn or yard that tend to hold water you might consider adding drainage and/or improving the soil with something like our aerify plus which will open up the soil and allow water to drain into it. Over time, with repeated use you might find that your soil holds less water that way. There are products made from Baccilus Thuringensis (a natural material that is considered much safer than chemical larvacides). If you google Bt Mosquito Dunk you should find plenty of results. These are effective in areas that have standing water and are most appropriate for use in drain crocks that hold water at all times. No matter how careful you are about reducing the amount of places mosquitoes have to breed, you will still have mosquitoes. So, the next step in an effective all natural mosquito repellent program is to use a product to kill mosquitoes or keep them out of your yard. Check out this video by FOX8 in Cleveland, Ohio discussing mosquitoes and options for controlling them. Many people will use a pyrethrin to kill mosquitoes. I've seen systems that squirt out a dose of pyrethrin twice in the morning and twice in the evening every day to kill any mosquitoes you might have lurking. This is a good concept, but pyrethrins do have more toxicity than I'm comfortable using around my yard that frequently. They're a natural product derived from chrysantemum flowers, but it doesn't mean that there aren't potential health issues with it. Plus, pyrethrins only kill mosquitoes that they happen to touch at the moment you spray, they don't do anything to repel mosquitoes from your yard. So, I don't recommend pyrethrin products for mosuito control. Even worse than pyrethrins though are the synthetic pyrethrum products. You've heard about garlic repelling blood sucking vampires right? Well what is a mosquito if not a miniature blood sucking vampire? It seems natural that garlic would be a perfect product to repel mosquitoes, naturally. In our service business we've used a product called Mosquito Barrier for years with great success to repel mosquitoes without any chemicals. Mosquito Barrier is made from all natural garlic juice. We mix the Mosquito Barrier concentrate in our sprayer with water and proceed to coat every surface of the landscape. We spray all plant material, mulch, wood decking, trees, leaves, grass, rocks, fences, you name it. Anything that can absorb water gets sprayed with our garlic mosquito repelling mix. Note: If you have a beautiful fence or something you'd be concerned about discoloring, you might want to test the garlic spray in a small inconspicuous area before coating the whole surface. There is a possibility that it could stain slightly. We've found that spraying the Mosquito Barrier Garlic Juice will repel mosquitoes for about three weeks. Does the Garlic Mosquito Repellent Smell? The short answer is yes. For a short time. We've heard it described as smelling like a pizza place for the first couple hours after our spray. Generally speaking, the smell dissapates quickly and after 24 hours it is barely noticeable. After 48 you definitely can't smell it. The good news is that Mosquitoes have much more sensitive sniffers than we do and they smell it for the next 3-4 weeks. So, with one spray, you'll keep mosquitoes out of your property for 3-4 weeks as long as there isn't too much rain. If there is a lot of rain, you might need to reapply. We mix a sticky material (NuFilm P) in with our garlic sprays that helps it stick to the leaf surfaces that prevents wash off but that is not necessary. If you're doing this your self we recommend a backpack sprayer or hand pump sprayer for best results. It's easy for us to spray everything in your yard with our large sprayers, but it is possible for you to get great results doing it yourself with a standard backpack sprayer as well. If you're not interested in a backpack, you can also try this nifty All Natural Hose End Sprayer Mosquito Repellent Spray also made with garlic and other natural . So, thanks for your interest in enjoying the great outdoors and eliminating mosquitoes without chemicals. Hope this information was helpful to you. If you live in Ohio(Cleveland, Akron, or Columbus) we'd be happy to quote you on an all natural mosquito repellant program. Typically we come four times over the summer to minimize your mosquito issues all summer long (Before Memorial Day, Before 4th of July, End of Augurst, and Before Labor Day). With this schedule, we treat your yard just before each of our major outdoor holidays and give you pretty good mosquito suppression for the entire summer. 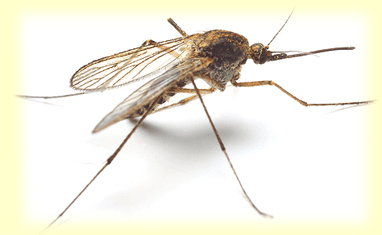 If you're interested in having us treat your yard for the season for mosquitoes, just contact us to get started. An introductory treatment is $99 and we'll be able to tell you what each additional treatment would cost after we do the first one for you. For most typical yards, it's $99 each trip or $396 for a full season of mosquito free living!